For more information on the Selection Process and Criterion for Inclusion for Awards, Certifications, and Legal Accolades of DWI Lawyer Bill Powers, click here. A DWI in NC first offense can be deceptively punitive and create DUI penalties that may last a lifetime. Far too many people arrested for driving while impaired try to represent themselves thinking that North Carolina DUI laws first offense are only a misdemeanor and no big deal or won’t affect their future. In our opinion, hiring an experienced DWI lawyer is a good idea. The consequences and penalties associated with a first DUI offense in NC may include a long list of harsh NC DWI laws related to a driving under the influence conviction. The key word is “conviction.” Convictions for allegations of criminal charges are only associated with criminal law, so the answer to “is DUI a criminal offense in North Carolina” is YES. As to the issue of whether DWI charges in North Carolina are felony or misdemeanor charges, it depends on the facts and circumstances of the case, prior criminal record, and individual circumstances of the criminal charges. North Carolina has an Habitual DWI offense, plus DWI charges can be a predicate offense for other felony charges like felony death by vehicle or involuntary manslaughter. Additionally, a DWI conviction is for LIFE, since driving while impaired (DWI) is a crime for which no deferment, expungement or criminal record restriction is EVER available in North Carolina (under the current NC DWI laws). Plus, the DWI in North Carolina will be on your driving record for police and prosecutors to see for LIFE, if convicted. It will be visible across all states. To begin with, the crime of drunken driving or drugged driving (DUI-DWI) is as often called DUI as it is called DWI in North Carolina. This is because the acronym DUI is America’s most common abbreviation for this well-known criminal offense. 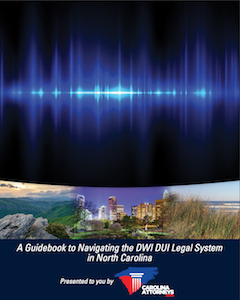 The second most utilized acronym in the United States, DWI, is what the laws in North Carolina define. But both abbreviations represent the identical offense of impaired driving due to some intoxicating or impairing substance like alcohol, drugs or marijuana. 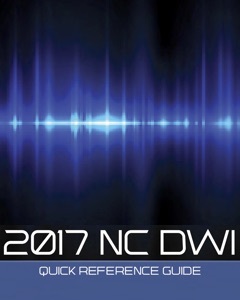 North Carolina DUI laws have several unique features that other states have not enacted. These NC DWI laws relate to the consequences for DUI in NC. This article covers (in detail) DUI consequences North Carolina, so that you will not have regrets about not fighting to avoid a long list of NC DUI penalties. In selecting legal counsel, look for lawyer ratings, but also look for legal industry recognitions and awards. 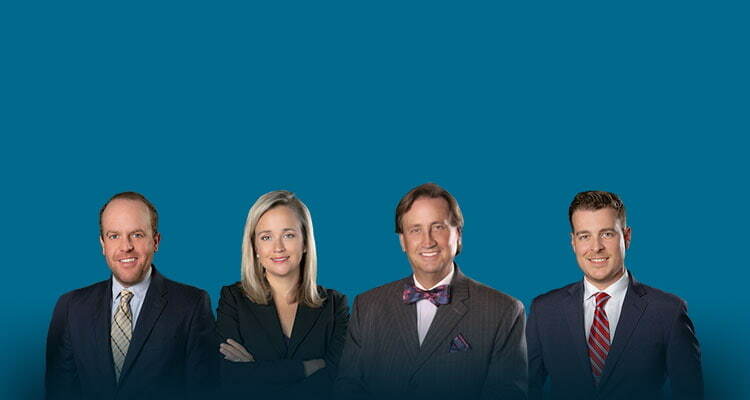 These attorney ratings should be part of your evaluation of any criminal defense attorney. Understanding the Six Punishment Levels for DUI in NC for Misdemeanor DWI Charges. Felony DWI Sentencing Is Different for North Carolina DWI charges. What Happens After DWI Charges in North Carolina? What Happens to My License? Can I Drive After DWI in NC? One of the more immediate consequences of NC DWI charges is often a license suspension or what DWI defense lawyers may refer to as a DWI Civil Revocation or “CVR.” If you blew an 0.08 BAC Blood Alcohol Content level or higher, it wouldn’t be at all unusual for your license to be suspended for 30 days and seized. In fact, under the NC DWI laws and N.C.G.S. 20-16.2 it may be required. Being charged with DWI does not necessarily mean a permanent revocation of your driver’s license. It also doesn’t mean there is an automatic jail sentence or jail time just for getting arrested for “drunk driving” or “drunken driving.” But, it could very easily result in a temporary license suspension and a substance abuse assessment if you want to apply for a NC Pre-Trial Limited Driving Privilege. Testing for “alcohol concentration” or blood alcohol content on the side of the road is not generally admissible in DWI charges in North Carolina, at least as it comes down to substantive evidence or proof of impairment at trial. As such, the roadside “breathalyzer” and any reading is not admissible at trial to prove impairment. While many people commonly refer to all breath tests as a “breathalyzer,” there are specific approved alcohol testing devices authorized for the detection and measurement of alcohol concentration in North Carolina. While other machines are currently approved under the North Carolina Administrative Code, relative to DWI charges in NC, the most commonly used device is the Intoximeter EC/IR II. The “breathalyzer” in North Carolina and its use at trial was discontinued in the early 1990s. For more information on the breathalyzer and breath testing devices for DWI in North Carolina, click here. A CVR or Civil Revocation under the NC DWI laws may be delayed in blood cases, as it often takes time for blood to be analyzed and tested at an approved laboratory. It is also important to note that sometimes the Clerk of Court fails to properly transmit notice to the NC Department of Transportation/Division of Motor Vehicles “DMV” of a blood result. If you have questions about the specifics of your NC DWI charges, call our DWI defense lawyers now at (704)-342-HELP. Each case, just like each client, is different. DWI charges in North Carolina are notoriously complex and, to some extent, confusing at times. That is especially true for blood testing cases. Is Community Service or Abstaining from Alcohol Required? Being charged with DWI in North Carolina is not the same as being convicted. 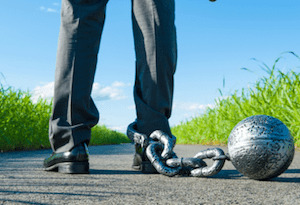 There are certain statutory requirements (under the NC DWI laws) to drive after being charged, under a Limited Privilege, but Community Service is not generally one of them. Also, while operating a vehicle pursuant to Limited Driving Privileges, you cannot have any amount of alcohol in your system. Abstaining from Alcohol prior to operation is required; complete abstinence is not. ** Abstaining from alcohol may be a good life choice and possibly a mitigating factor in instances where alcohol abuse become an issue. A Court is also given a tremendous amount of discretion in setting the terms and conditions of driving. Limited driving privileges are not a matter of right in North Carolina after allegations of DWI. As such, the Judge may set additional conditions, including abstaining from alcohol. Furthermore, in setting Bond or determining whether release from jail is OK, the Court may condition release upon abstaining from alcohol or using illegal drugs. Limited driving privileges associated with a conviction for DWI, while very similar to a pre-trial privilege, are technically different. If you blew a .15 or higher (or had a blood result of .015 or higher), the NC DWI laws mandate the installation of an Ignition Interlock Device or IID. The Ignition Interlock Device may be in addition to other terms and conditions associated with limited driving privileges, including a mandatory 45-day “hold” or waiting period with no option for driving. It helps to have an attorney-client relationship established, as license suspension issues after allegations of DWI charges are one of the more complicated areas of legal representation. Should I do Community Service After DWI Charges? Community Service is a good thing. Helping others never hurts; but, it is technically not required to obtain limited driving privileges or for your release from jail. Prior to signing up for community service, we recommend clients come in and talk to us. Even in instances where community service is court-ordered, the Court may direct where it is to be performed. Furthermore, in NC DWI charges, there may be a community service fee imposed. How much Jail Time is allowed for DWI charges in North Carolina? Is a Jail Sentence Required for NC DWI? You may have heard of “suspended” sentences for a conviction of impaired driving. North Carolina has some relatively complicated sentencing provisions, where for less serious matters, the Court may impose 24 hours, 48 hours, or 72 hours of Community Service as a condition of the Judgment. That would mean there is no jail time required, with the provision there may be other conditions imposed by the Court. Failure to comply with those terms of the Court Order could result in the imposition of the suspended jail sentence or prison sentence, depending on the nature and circumstances of the DWI charges in North Carolina. There are times when the person charged with DWI may choose, in lieu of Community Service, an active jail term of 24 hours in jail, 48 hours in jail, or 72 hours in jail. It, frankly, may not be an option. In some cases, a jail sentence may be mandated under the N.C. DWI laws, with mandatory minimum terms. That does not mean a judge is always required to suspend the sentence. Even for 1st offense DUI in NC DWI charges, a judge can require jail time. Experienced DWI lawyers may explain the Court can issue a “minimum/maximum” term for DWI charges in North Carolina. For example, a “min/max” of 30 days isn’t unusual for a Level 5 and a “min/max” of 60 days may be standard for some Judges in a Level 4 DWI and maybe 120 days “min/max” for Level 5. Those are all possible for 1st offense DUI in NC. But, an active jail sentence or prison term is available for 1st offense DUI in NC if certain Grossly Aggravating Factors are proven Beyond a Reasonable Doubt by the state. One of the more serious GAF Grossly Aggravating Factors (they’re all serious), under N.C.G.S. 20-179 section “c4” involves having a child under the age of 18 in vehicle at the time of DWI charges in North Carolina. Without some other alternative approved by the sentencing judge, there is a mandatory minimum active jail sentence of 30 days for a Level 1 DWI. That’s true even if it’s your first arrest or 1st offense DUI in NC.